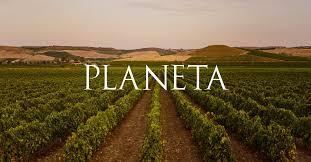 Planeta's plan of action has been stimulated by the six wineries and the 370 hectares of vineyard which surround them. Patient and careful research, never hurried, looking as much to the past as to the future. Above all with profound links to the oldest winemaking traditions of Sicily and its unparalleled wealth of indigenous grape varieties. The guidelines of the plan are extremely rigorous in this direction; to promote the characteristics of these great vines by cultivating them exclusively in their respective selected areas: Nero d'Avola in Noto or Vittoria; Grecanico in Sambuca and Menfi, Carricante on Etna, and so on. Another part of the plan lies within the arena where the best wine producers from five continents are judged. Chardonnay, Syrah, Merlot and Cabernet; great classics of international winemaking interpreted by a territory that marks them in an unmistakable manner, giving rise to wines that are profoundly Sicilian as much as the great indigenous varieties. Without forgetting the most energetic and almost visionary investigation into varieties and territories which allowed us to achieve a great Fiano for the first time in Sicily. In 2012, with the goal of furthering its terroir-based approach, Planeta has hired French consultants Florent Dumeau and Xaviér Choné. Both graduates of the authoritative school of enology in Bordeaux, Florent and Xavier consider themselves terroir-oriented enologists, a statement that fits perfectly with Planeta's ideas and work: namely expressing the differences of the various terroirs throughout Sicily. Menfi, in the southeastern portion of Sicily, is the heart of Planeta and its operational base. Various types of soil are found here, but all are rich in lime and clay, ideal for the international red grape varieties which are transformed into wine at La Dispensa winery – Merlot, Syrah, Cabernet Sauvignon and Cabernet Franc. All of the company's activities have a single theme; environmental sustainability. Through the use of solar panels and biomass production, principally pruning residues to produce energy, through the re-use and recycling of all materials used in the production cycle and the exclusive use of recycled paper for packing and printed materials. Because the land and the environment are a collective benefit as well as the company's heritage, and it is a duty to make every effort to preserve it. Alessio, Francesca and Santi Planeta established the company and this plan of action, but the whole family is with them, rooted in the reality of Sicilian agriculture for generations. A family and a company which has always given themselves ambitious aims, following the dictate of quality, a rigorous respect for the environment and for social responsibility. From the family properties at Menfi and Sambuca di Sicilia, and then at Vittoria and Noto to the latest acquisitions on Etna, a single Journey, through Sicily and its greatest wines. Robert Parker 87"The 2006 Cometa (Fiano) is a big, full-bodied wine loaded with tropical, honeyed fruit, roasted nuts, minerals, and sweet toasted oak. The wine shows notable volume but ultimately it comes across as heavy and lacking freshness. Anticipated maturity: 2006-2010."